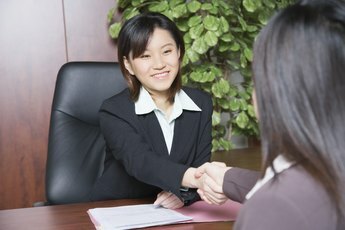 Interviewers often ask accountants about their experiences in previous jobs. You might like the kitschy nicknames for accountants, such as money crunchers, bean counters and penny processors, but their job responsibilities are much more complex than the names imply. Accountants are highly trained professionals who prepare detailed corporate and individual financial records to ensure their accuracy and compliance with state and federal guidelines. 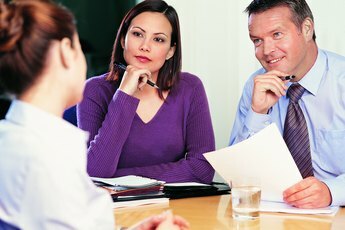 Questions in accounting job interviews usually revolve around skills, experience and industry knowledge. The interviewer might throw a curve ball so always prepare specific work-related stories or illustrations you can craft to answer almost any question. Familiarity with tax laws is an important part of accounting. Expect the interviewer to ask about your understanding of individual and corporate IRS laws and current regulations. She might ask, "How do you stay current on tax laws and IRS changes that affect business owners?" "What resources do you rely on to keep up with individual and corporate tax return deductions or money-saving tax options?" or "What websites do you consult to update your tax data and ensure your calculations meet state and federal requirements?" According to the U.S. Bureau of Labor Statistics, there are three main types of accountants -- public, management and government. The interviewer will likely ask about your specific experience in accounting and the roles you've held. 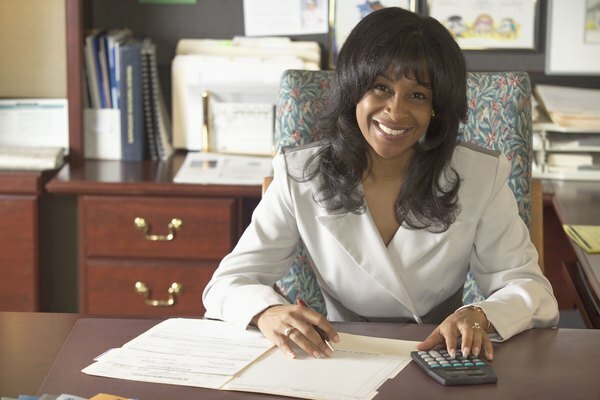 She might ask, "Do you have experience with auditing, corporate tax or income tax preparation?" or "What experience do you have with budgeting or tax planning for private organizations or individuals?" Be prepared to discuss details of the kind of work you've been engaged in, and the kind of continuing education training you've had to gain special knowledge or skills. 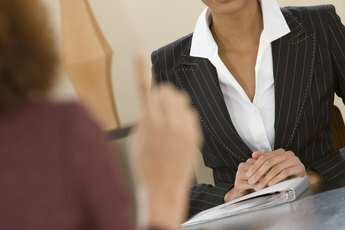 The interviewer will likely ask about your people skills and ability to interact with clients and other financial staff on a professional level to discuss sensitive financial matters. She might ask, "How do you collect financial reports and financial data from clients?" "What communication methods do you use when discussing sensitive information with clients, such as tax penalties, underpayments or discrepancies in financial reports?" or "Give me an example of how you handled a difficult financial situation with a client." Provide specific examples, but don't disclose names or private or confidential information about former clients. Expect interview questions about your technical skills. Accountants use specialized accounting software to report and document financial data. The interviewer might ask, "What accounting applications are you familiar with?" or "Describe the advantages and disadvantages of accounting methods or accounting programs you've used." Always be specific and list software programs by name. Explain your experience with double-entry accounting methods, tax return preparation software, general ledgers, balance sheets, cost-reduction procedures, payroll, bookkeeping and penalty assessments. What Strengths Do You Need to Become an Accountant? What Are the Working Conditions for a Tax Accountant?